Spinner baits are an often-overlooked bait, but one that many pros use on a regular basis to catch fish, and to win tournaments. Bass fishing professionals such as Kevin Van Dam and Todd Faircloth, as well as TV personalities like Jimmy Houston and Hank Parker swear by spinner baits. They are easy to learn to use and they catch a large number of fish. Even the youngest angler can catch fish with a spinner bait. Many anglers believe, and rightly so, a spinner bait is one of the most versatile baits with which to fish. They can be fished slow or fast, deep or shallow. 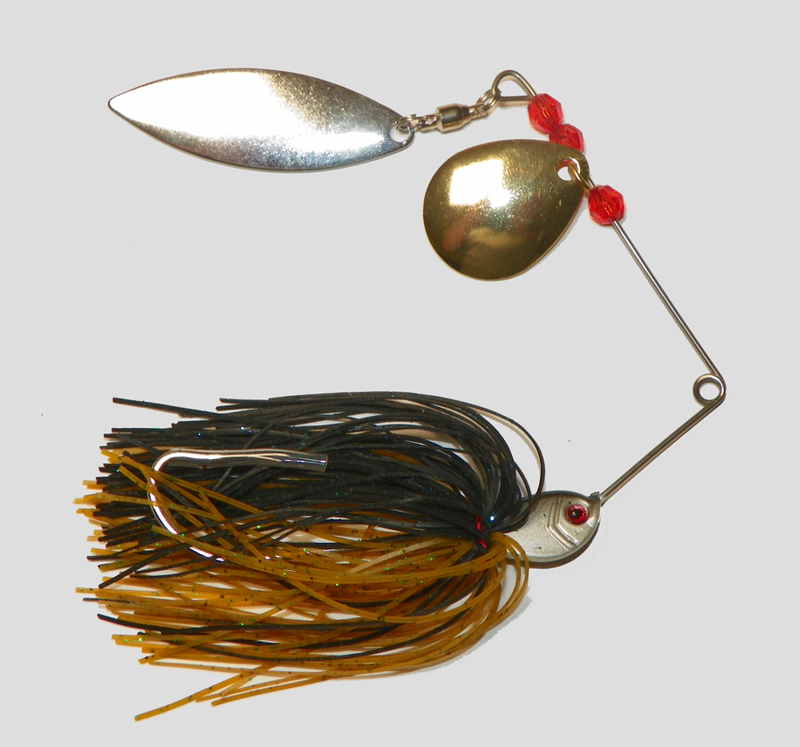 Spinner baits come in several sizes, a variety of colors and with different styles of blades. There are three basic blade styles. The willow leaf, which looks like its namesake in shape, will provide a lot of flash. A Colorado blade, which has a very rounded shape, will provide a lot of vibration. An Indiana blade is arguably the best of both worlds, providing some flash and some vibration. Vibration is most important in dark or stained water, where the fish will not see the bait from a long distance away. They will use their lateral line to detect the vibration and know something, possibly food, is coming their way. In clearer water, a good amount of flash will help the fish see the bait from further away. Spinner baits with two blades will allow the angler to fish the bait slower while still keeping the bait higher in the water column. The dual blades help to provide lift. Also, when crashing the bait into cover, one blade will keep turning at all times. Single blade type spinner baits will provide more flash. In clearer water, fish a spinner bait faster so the fish cannot get a good look at it, but can see the silhouette of what appears to be a small pod of bait fish swimming by. Some anglers say it is best to reel just fast enough to keep the lure in sight in the water. Others prefer to fish them deeper. Let the fish tell you what they want. Spinnerbaits are very versatile and can be fished in almost any weather. Windy or low-light days are the best for a spinnerbait, although some professional anglers will even fish them under bluebird skies. A faster retrieve is better on sunny days to get a reaction bite without the fish getting a good look at the bait. Bigger blades are good for windier days. Many swear by spinner baits in the fall, but they are good choices year-round. Throw these baits anywhere there is cover. Brush, laydowns, and docks are all great places for spinnerbaits. If you are not using a trailer hook, it is difficult to get these baits caught up, but they can get snagged. Spinner baits can be reeled back steady, or with a stop and go retrieve. When fishing over wood, stopping the bait will allow it to fall down into the wood. Then rip it back out and reel it a bit before allowing it to fall again. This will find those fish deep down in the wood. Be prepared to get hung up from time to time, but the results will be worth while. Fishing over grass or along a weed line can also produce awesome strikes with a spinnerbait. When nothing else in the tackle box seems to be working, tie on a spinner bait and be ready to set the hook.